A new study by the Substance Abuse and Mental Health Services Administration shows that more 12-year-olds in the U.S are getting high by sniffing inhalants than by smoking marijuana. 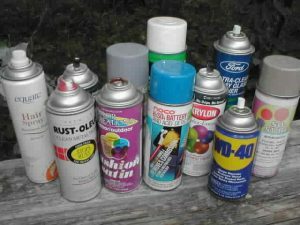 Easy to obtain products like glue, air fresheners, computer cleaners, and nail polish are the most popular choice of inhalants but some kids will even resort to huffing freeon from air conditioners. Inhalants come with a high risk of serious health problems like cardiac arrest, also known as “sudden sniffing death.” While sniffing glue is not a new problem for society, the increase in usage by young kids is alarming. Illegal prescription medications are the second most used drug among 12-year-olds with marijuana a distant third. Ease of access to inhalants and parent’s prescriptions are an important factor in this trend but some blame should also fall on the failed drug war. Most kids today are still being educated on false myths about marijuana and common sense dangers of crack and heroin while unknowingly consuming far more dangerous substances found in their own home. Nobody wants a 12-year-old using any drug, including marijuana, but I imagine most parents would rather find their kid smoking a joint than laying lifeless on the ground next to an aerosol can.